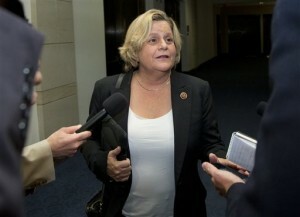 Ros-Lehtinen advocated for several Isais family members, who donated over $20,000 to her campaign. William and Roberto Isaias, who were convicted in absentia of embezzlement in Ecuador more than a decade ago, have been fighting for the right to avoid extradition and establish residency in the United States. And they’ve had a powerful ally in that quest: Senate Foreign Relations Committee Chairman Robert Menendez, who made phone calls and wrote letters to advance their residency request. Last month, NBC News reported that the FBI was investigating Senate Foreign Relations Committee Chairman Robert Menendez on possible corruption charges related to his advocacy on behalf of the brothers. Ros-Lehtinen’s office provided this and other letters voluntarily to The Daily Beast in a response to an inquiry. The Congresswoman denied any quid pro quo and maintained there was nothing wrong regarding her work on behalf of the Isaias brothers. The Congresswoman said her advocacy on the bankers’ behalf was simply a matter of routine constituent service. “We handle literally hundreds of constituent cases and we are probably one of the hardest working Congressional offices on cases of concern to our community,” she added. Ros-Lehtinen also told The Daily Beast that she does not believe she is under FBI investigation in connection to the broader Isaias case. “We have not been notified by any agency that we are under investigation and I will provide any agency with our correspondence,” she said. An FBI spokesman declined to comment on the issue. The Isaias brothers, who have not donated to U.S. lawmakers directly because they are not U.S. citizens, are wanted in Ecuador following the collapse of their bank Filobanco, which collapsed in 1998. 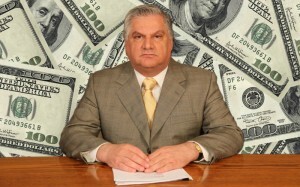 According to the conviction, the brothers escaped with over $100 million of the bank’s funds. The brothers maintain their innocence. Ros-Lehtinen wrote to the State Department that the Isaias brothers had given her office evidence that the Ecuadorian Government’s persecution of them and she encouraged Valenzuela to contact them directly. “The Department of State appreciates the information you have provided regarding the Isaias brothers’ concern about alleged political and economic persecution by the Ecuadorian government. We will make a note about the information you forwarded,” replied Joseph MacManus, acting assistant secretary of state, in May, 2011 response to Ros-Lehtinen. In March, 2012, the Congresswoman wrote to Secretary of State Hillary Clinton on behalf of Estafania Maria Isaias Plaza, who was denied a waiver of inadmissibility related to her application for an H1B non-resident work visa. Alfredo Balsera, who was to hire Ms. Isaias Plaza, contributed at least $1,000 to Ros-Lehtinen’s campaign. In August, 2013, Ros-Lehtinen wrote to Linda Swacina, Miami Deputy Director of the U.S. Citizen Immigration Service, asking her to rule on the permanent residency application of Estefano Isaias. In December, 2013, she wrote to the acting director of USCIS in Washington, Lori Scialabba, asking her to reconsider the case of Roberto Antonio Isaias Plaza, who was denied an immigrant petition. In addition to Menendez and Ros-Lehtinen, Isaias family members also contributed to the campaigns of Florida Sen. Bill Nelson, Florida Congresswoman and Democratic National Committee Chairwoman Debbie Wasserman-Schultz, and Florida Rep. Joe Garcia, all Democrats.